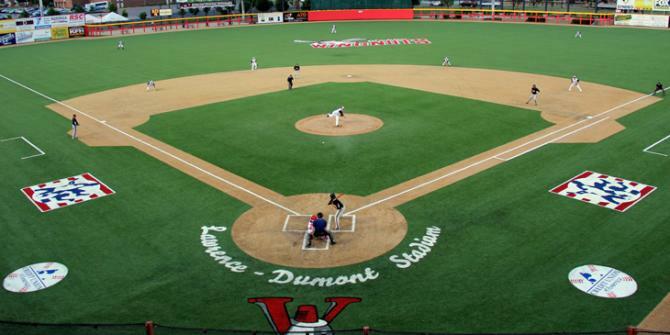 WICHITA, Kan. – This year’s National Baseball Congress (NBC) World Series tournament is off to a record-breaking start, which means attendees are sure to witness memorable moments and should also take note of several items to make sure their experience is top-notch. For the first time in tournament history, a team of former Major League Baseball stars, the Kansas Stars, are taking the field. The Stars are scheduled to play at 9:30 p.m. on Aug. 6, 7 p.m. on Aug. 8 and 7 p.m. on Aug. 10. They could play more games if they advance out of pool play. See the full roster here. Starting Saturday, Aug. 6, is the Adidas Inaugural Home Run Derby, an event featuring players from all 16 Championship Week teams. Two rounds will take place to determine which hitters advance to the finals on Sunday, Aug. 7, at 6 p.m. Gates open at 10 a.m. and the Derby begins at 11 a.m. Fans will have a chance to get autographs and enjoy prizes. The 27th annual Baseball ’Round the Clock, presented by Coleman and KWCH, is set to start Friday, Aug. 5, and will run nonstop through Sunday, Aug. 7. Registration has closed for this event, but the event is sure to be full of challenges and dedicated fans. There are promotions every night of the tournament, from family nights on Thursdays when fans receive a free hot dog and drink with regular-priced admission, to a youth jersey giveaway during the semifinals on Aug. 12. For more details, view the promotional schedule. All dollar day tickets can be purchased at local Kwik Trip locations.